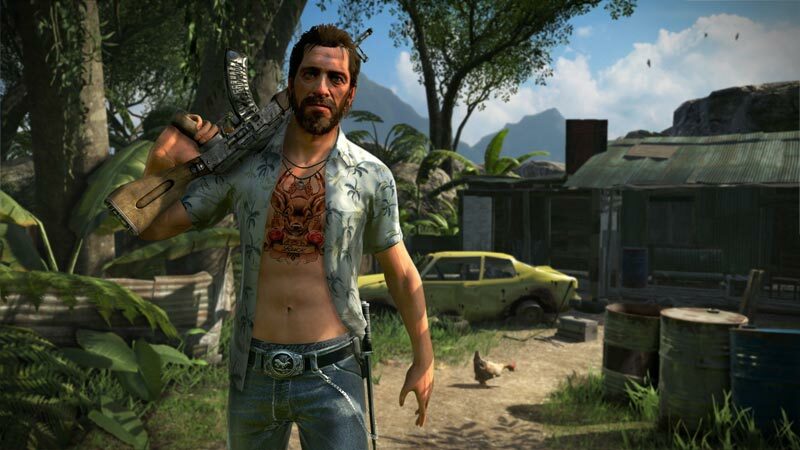 The thing is, Far Cry 3 doesn't need a strong multiplayer component because its single-player campaign will keep you invested for dozens of hours. You'll be eager to explore every bit of the tropical setting, to drive along the beach or hang glide over the ocean. You'll want to find lost treasures in the sunken ships that line the island's periphery and stab sharks to death for their valuable skins. That's just how Far Cry 3 rolls. 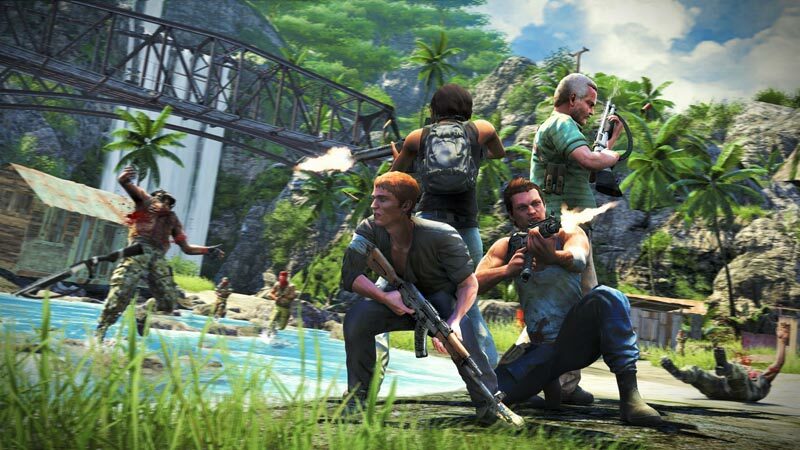 Far Cry 3 delivers a delightfully compelling narrative in a beautiful open world environment. The single-player is captivating from start to finish, and while the multiplayer lacks inspiration, it offers a decent distraction if you're looking for some fun in the sun with friends. It's worth noting that some of the side missions feel extremely disconnected from the overall campaign, but I like to view that as something to do after the story is over. 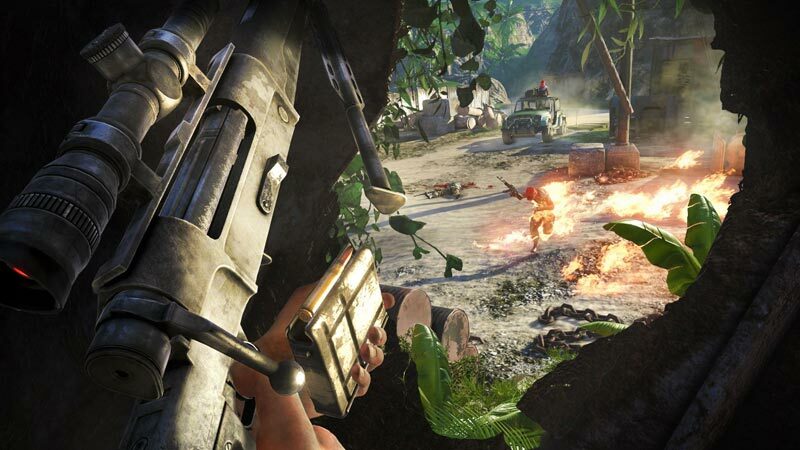 Outside those elements, players are rewarded in Far Cry 3 by an extremely connected experience. This is one of the most successful games and one that should be on the top of your must buy list. If you can deal with the insanity of the story, you will be rewarded with an absolutely brilliant experience where attention is paid to every inch of the setting, story, characters, and gameplay. It's hard to deny its prowess for gunplay, exploration, and graphics, with the exception of minor pop-up issues and framerate drops. As long as you don't take the game as seriously as the game does, you'll be entertained. Just make sure you dismiss that Skyrim quote... as much as dragon-slaying would be just as awesome on Rook Island. 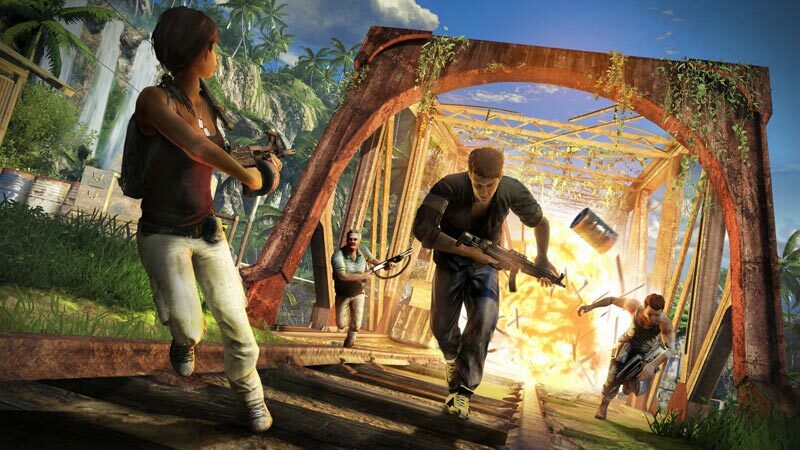 For as large as Far Cry 3’s setting is, there’s an elegant conciseness to the game’s story mode. It’ll still take tens of hours for completionists to get through, but the fast travel and dense map ensures you always have something meaningful to do within minutes. 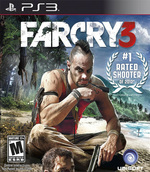 The production demands of an open world game make Far Cry 3’s sub-30 frames per second performance acceptable. 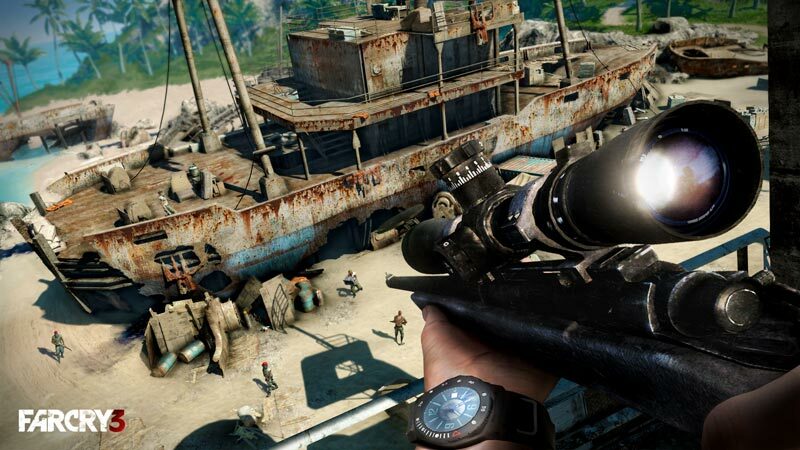 Far Cry 3 is the best open-world title since 2011's The Elder Scrolls V: Skyrim. The multiplayer modes feel tacked on and unnecessary, but they're also easily ignored. A must for anyone who loves beautifully realised worlds. Far Cry 3 est un soft immensément riche et profond, doté d'un univers foisonnant de vie permettant à un redoutable gameplay, décomplexé et jouissif, de s'exprimer à plein. De par sa nature ouverte, le bébé d'Ubisoft se révèle capable de convenir à tous les types de joueurs et réussit en plus à surprendre dans des domaines où on ne l'attendait pas forcément. Le jeu vidéo à son meilleur. Far Cry 3 weet het tweede deel van de serie met vlag en wimpel te evenaren en te overtreffen. Het biedt dezelfde vrijheid die alle spelers zal bekoren – met wat extra aandacht voor stealth-liefhebbers – en geeft spelers tegelijkertijd uren vermaak door de prachtige omgevingen vol te stoppen met missies, collectables en mogelijkheden om Jason sterker te maken. Daarbovenop is de hoofdverhaallijn erg vermakelijk door de geweldige personages en zijn de missies stuk voor stuk erg geslaagd. Dit is een open wereld-shooter op z’n best.